At TGA, we feel that giving can often feel better than receiving. It’s why all of our coaches give their time, knowledge, and resources to their students each and every class. 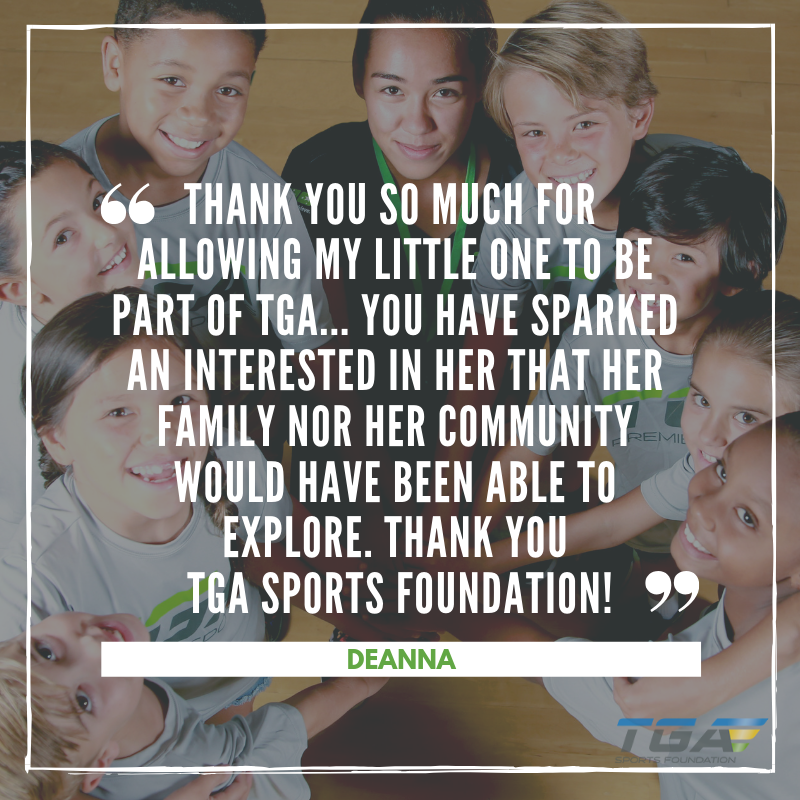 To help spread more joy during this season of giving, we encourage you to consider helping other kids and families in your community by donating to the TGA Sports Foundation. As a 501c3 non-profit, all donations go directly to scholarships and programming for under-resourced families to help them experience all of the impactful benefits of playing sports.